Earlier today, IBM announced it had signed a definitive agreement to acquire Initiate Systems, a provider of customer data integration (CDI) and enterprise master patient index (EMPI) technology. 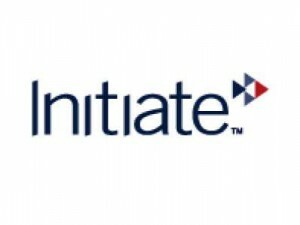 According to the company press release, IBM describes Initiate as “a market leader in data integrity software for information sharing among healthcare and government organizations. Initiate’s software helps healthcare clients work more intelligently and efficiently with timely access to patient and clinical data. It also enables governments to share information across multiple agencies to better serve citizens.” For further commentary on the transaction and Initiate, check out fellow Enterprise Irregular Lawrence Dignan’s analysis over on ZDNet. In my view, there’s actually much more to Initiate Systems that what IBM is letting on, however. In fact, Initiate’s technology could easily be used to power supplier- and supply chain-centric hubs in the same manner in which it fuels customer, healthcare, and government (e.g., FBI/cyber) data-integration initiatives today. It’s also worth noting that this is also a consolidation play for IBM: it previously acquired DWL, an Initiate competitor. Who does this leave in the CDI/EMPI sector with technology to which organizations can turn? Oracle has significant assets in the CDI and related sectors gained from multiple acquisitions (from Siebel to most recently, Silver Creek); D&B owns Purisma, another CDI provider; and there are more options in the market, especially niche providers and substitute offerings in specific markets (e.g., healthcare). But more important, what is the core of this technology and how does it work? Initiate’s technology enables users (e.g., analysts, doctors, sales reps) to gain a unified perspective of a customer, patient, or entity across multiple fragmented data sources, in real time. For example, with Initiate, a doctor in an ER could see a patient’s complete medical record without the need for a unique healthcare identifier. In a clinical setting, he could immediately see (if controls allowed) patient medical histories, prescription records from pharmacies, whether or not prescriptions had been refilled, etc. All of this information is generated at the point of query rather than requiring batch-data uploads. In essence, the tool provides a real-time view of the patient’s history that allows users to make better diagnoses and judgments (e.g., a nurse can immediately see whether a patient has gone off his meds based on whether or not prescriptions have been refilled).